Is This $100 24-Carat-Gold Primer Worth It? - Filosophie! APPLICATION: This primer is a liquid with a water-jelly like consistency. It applies evenly and absorbs quickly. It leaves a subtle luminosity to the skin thanks to the ingredients. Does it help with foundation longevity? No. Nor does it market itself as doing this (not all primers act the same). Does it provide hydration? Yes! It will help aid your foundation application by plumping your skin with hydration. It has a subtle fragrance which I quite like, Guerlain certainly knows how to make fragrances! As a side note, strong fragrances bother me but I didn't have any negative reaction to this scent. 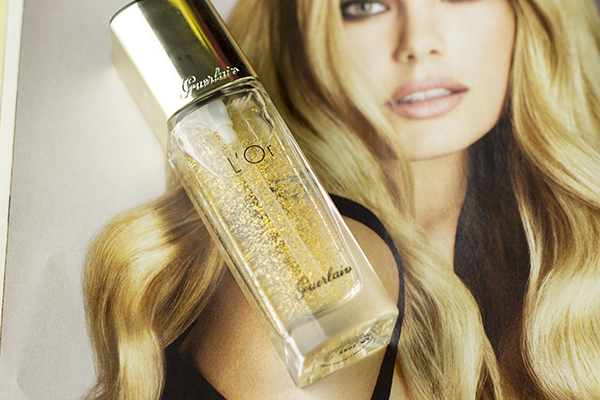 INGREDIENTS: Guerlain's advertising for this product focuses on the 24-carat gold flakes mixed into the primer. This doesn't have any affect in terms of skincare but it can help aid in radiance because of the reflection from the flakes. Full ingredient list not available on their website. PACKAGING: B-e-a-u-t-i-f-u-l. This is one nice looking primer. I love having it out on my table since it's so pretty to look at. 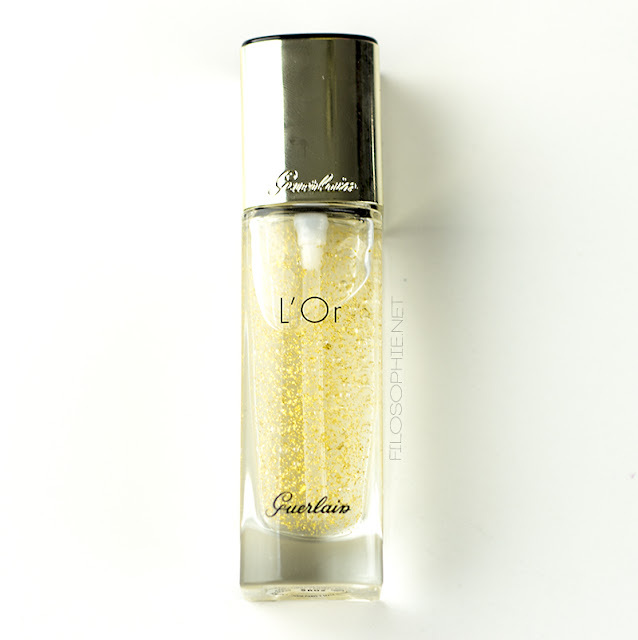 It comes in a translucent glass bottle which allows you to see all the gold specks and a metallic gold lid (fitting) embossed with Guerlain. IS IT WORTH IT? : For a product that sells for $100CAD I want it to WOW me. 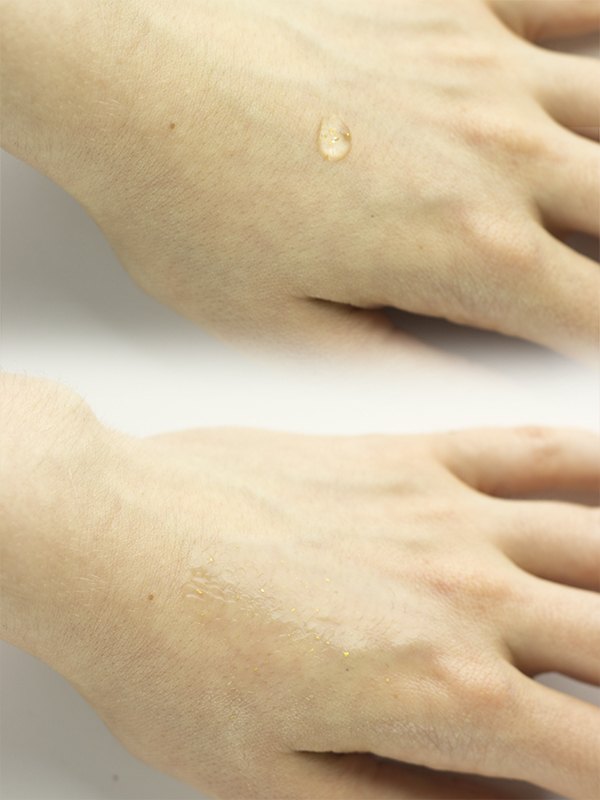 Though L'Or is a nice primer that provides ample hydration and radiance, I find it difficult to justify the price tag. The gold specks don't have much, if any, skin benefits and achieving luminosity can be done without. However, if you can spare the change, this is a beautiful product for any makeup collection. Buy: Guerlain's L'Or primer can be purchased in store, or at Nordstrom.com for $101.29CAD or $80 in Canadian stores. A little confused on primers? 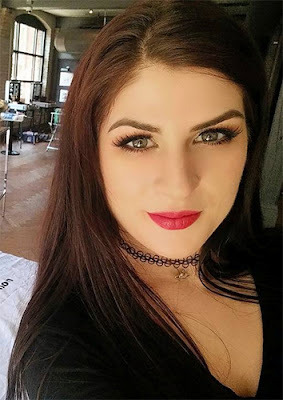 Check out my PRIMERS 101 page!